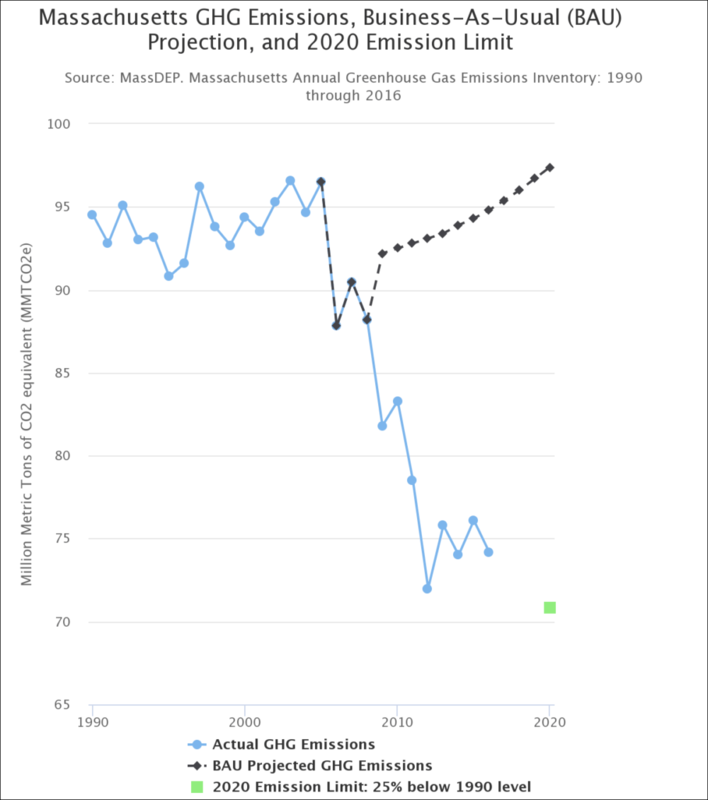 Greenhouse gas emissions in Massachusetts declined 2.5 percent in 2016 from the year before, putting the state a bit closer to its 2020 emissions-reduction goal. The estimated 2016 total is about 21 percent below emissions levels in 1990, the state's baseline. (2016 is the latest year for which data are available.) Massachusetts' goal, outlined in 2008's Global Warming Solutions Act, is to reduce emissions 10 to 25 percent below 1990 levels by 2020, and 80 percent below 1990 levels by 2050. State officials say the act "created a framework for reducing heat-trapping emissions to levels that scientists believe give us a reasonable chance of avoiding the worst effects of global warming." As you can see in the chart above, Massachusetts emissions have bounced around during the last few years. Nevertheless, state officials have said Massachusetts is on target to hit the 2020 goal. Other advocates say the state should be more aggressive in ratcheting down emissions. Officials say policy decisions, such as the multi-state Regional Greenhouse Gas Initiative, affect emissions, along with factors like economic conditions, weather and fuel prices. They've said, for instance, that 2015's "historically cold and snowy winter ... increased usage of carbon-intensive energy generation." 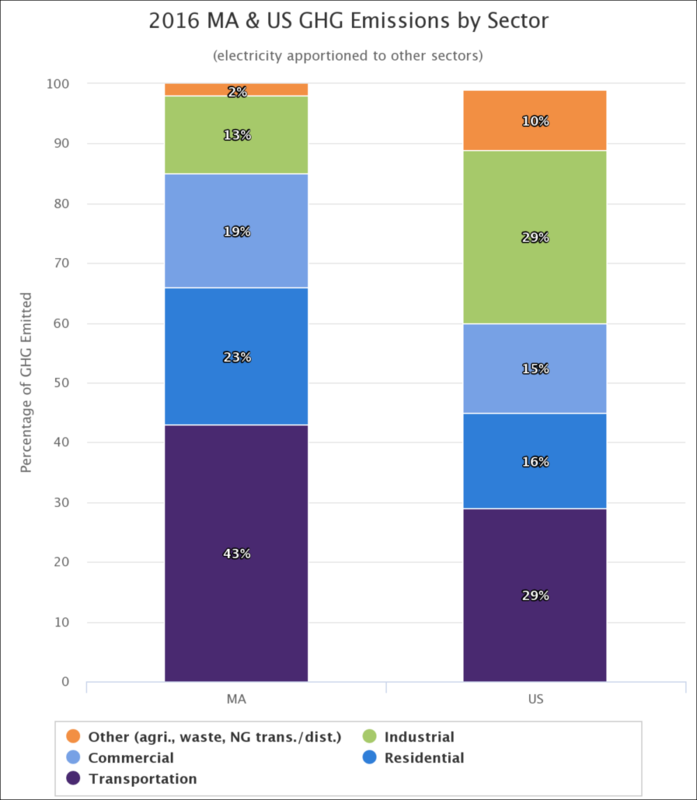 The 2016 figures were released last month, as Massachusetts announced it was joining a new multi-state, carbon-capping compact — this one to try to reduce transportation emissions. 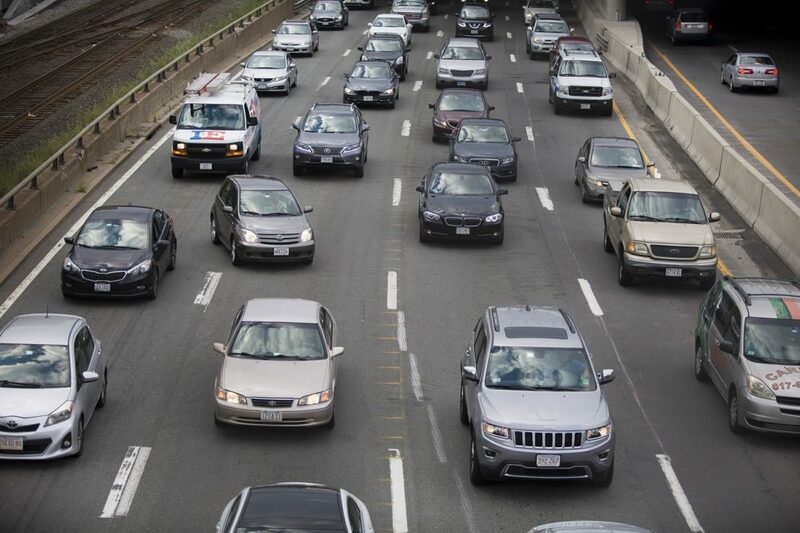 The initiative currently includes nine Northeast and Mid-Atlantic states, along with Washington, D.C.
That agreement came days after the Baker administration released a massive "Future of Transportation" report recommending 18 ways the state should prepare for potential changes in transportation over the next two decades. 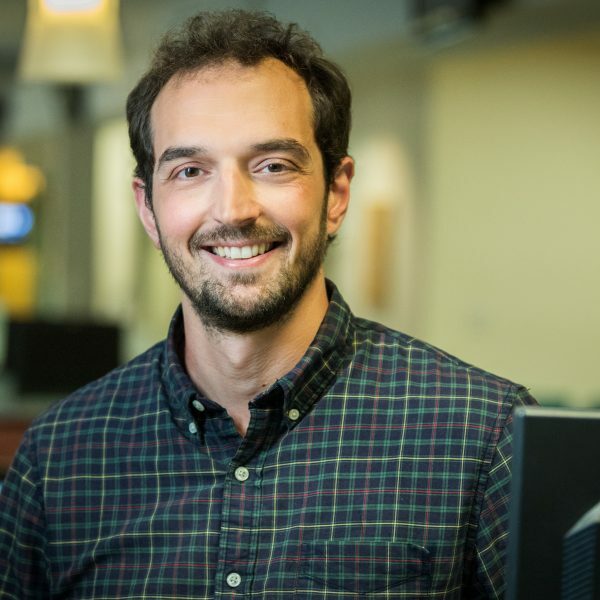 Ben is WBUR's digital manager. He occasionally reports on economic and transportation policy, climate and social issues, and politics.